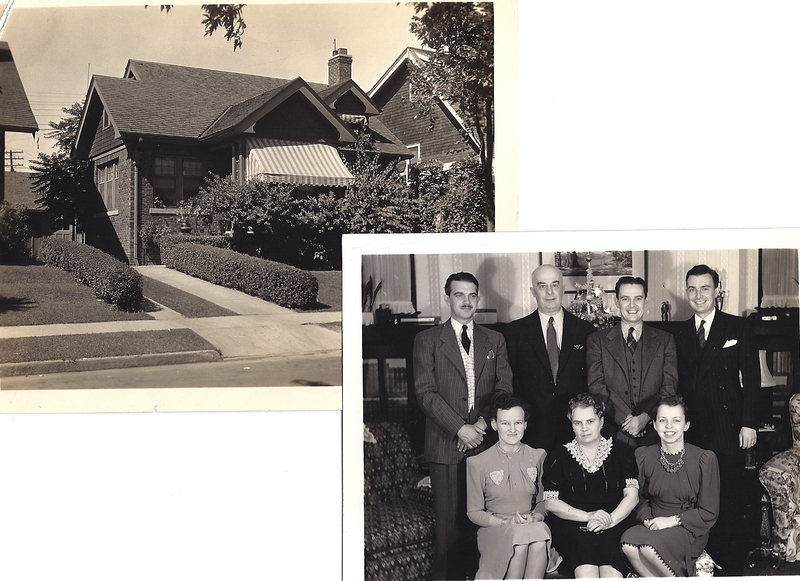 Urville Mitton’s family Christmas 1940 at his house on Wyoming in Detroit, Mich. Urville Mitton is the only one of his siblings to come to the US and have a family. The others remained in Canada to this day. From left above, eldest son Eugene, father Urville, second son Manley, third son Eddie. Sitting left Grace, wife of Eugene, mother Margaret and Eddie’s wife Luella (Circa. 1940). Master Sgt. Manley H. Mitton (left) and father of Bruce F. Mitton. Photo taken in Sydney, Australia March 1945. 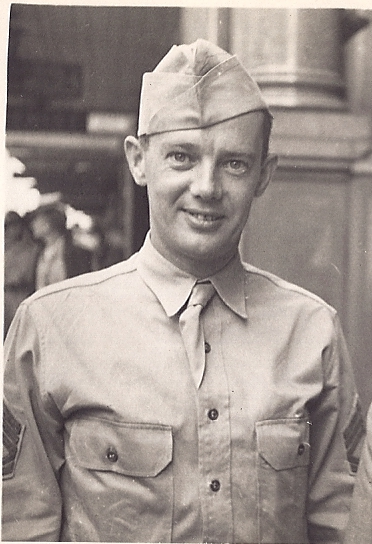 Manley was the only one of his brothers to serve in World War II. Age 36 then. Crossing the US Border for love? Urville Mitton, Kent County Ontario br.1880 d. 1954 Detroit, Mich. m. Margaret Milligan br. 1883 d.1968. Came to US with Margaret Milligan 1905. 3 sons, Eugene Wheeler br. 1906 d. 1974, Manley Hillard br. 1908 d.2005, Frances Edmond br. 1915 d.2005. Editors’ note: Urville Mitton eloped with “Maggie Milligan” from Paris, Ontario and came to the US where he sold pharmacy supplies up and down the east coast. His first son Eugene Wheeler was born in North Carolina as a result. He later returned to Detroit and Grand Rapids as well as Ridgetown, Ont. where his youngest son Francis Edmund was born. He eventually settled in Detroit and lived there until his death in April 1954. Manley H. Mitton, second son of above. br. Aug. 11, 1908 Detroit, Mich. d. June 30, 2005 Vero Beach, Florida. m. Lorain C. Myers of Gladwin, Mich. br. March 9, 1917 d. March 12,1992, West Bloomfield, Mich. Only child, Bruce br. June 18, 1948. Bruce Floyd Mitton, aka. “Bruce the Great” br. Detroit, Mich. June 18, 1948 d. (delayed-pending and in no hurry). Only child of Manley and Lorain and the brilliant author of this research paper. No children that he knows of. 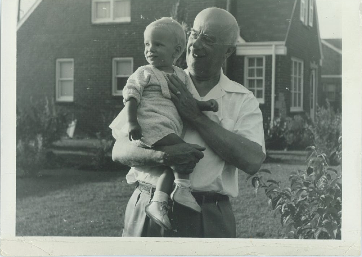 Bruce Floyd Mitton and grandfather Urville Mitton, summer 1950. Bruce is a 13th direct descendant of Richard Mitton born 1577 in Austwick, England. He is the approx. 25th generation since “Ralph the Red” of “Mitune, the progenitor of the “Family de Mitton”, first established by the Nov. 23,1102 Charter.